California-based Tom Fritz creates art depicting a variety of themes, including automotive and motorcycle culture (his work has been featured on a series of U.S. postage stamps). 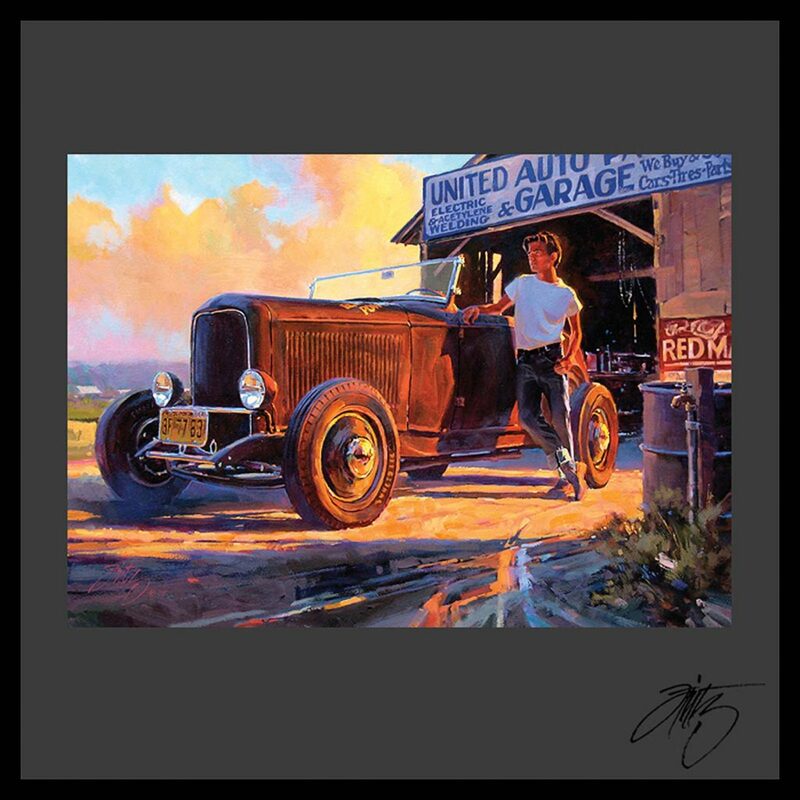 Fritz’s paintings include old pickup trucks, racecars, classics and muscle cars, although hotrods and their drivers from the 1940s and ’50s appear to be his favorite subjects. Rather than static portrayals, many works show the vehicles in action. Most of the original paintings are marked as sold, but the fine-art-poster versions (numbered and signed by the artist) range from $140 to $400, depending on size and subject matter. You can admire and purchase Fritz’s work at www.fritzart.com.